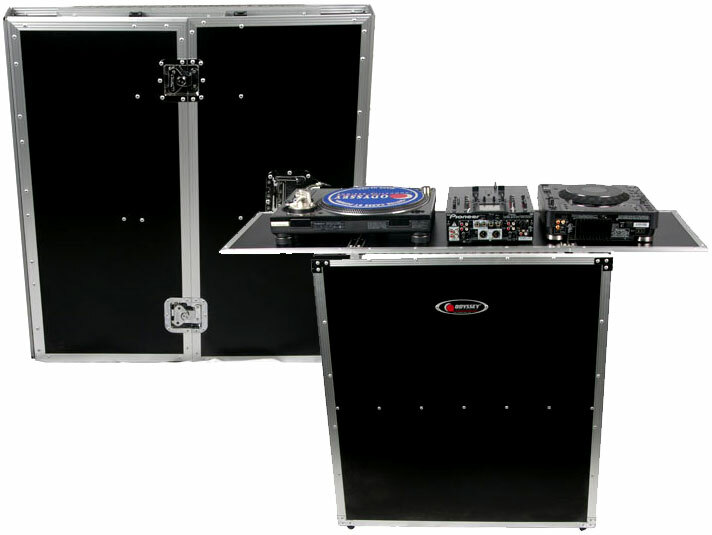 Our new Flight Zone collapsible table stand is the perfect companion piece for the DJ who likes to go completely modular. Use it for a home studio set up or on stage. Showing off your gear and talent never looked better with our foldout table stand. Made of black laminate and aluminum valance edging, these stand provides a clean professional appearance, and it's easy to set up or tear down.